The single hop experiment part 2: the Admiral hop. As opposed to the Citra, this is neither floral nor fruity; rather, it's merely a bittering hop. The effect is utilitarian in a way - balance at the expense of complexity. It can transform a mediocre strong ale into a powerful, satisfying, English-style India pale ale. Some would argue there's beauty in simplicity, and I would argue that they should grow a sack, but with this beer it works. 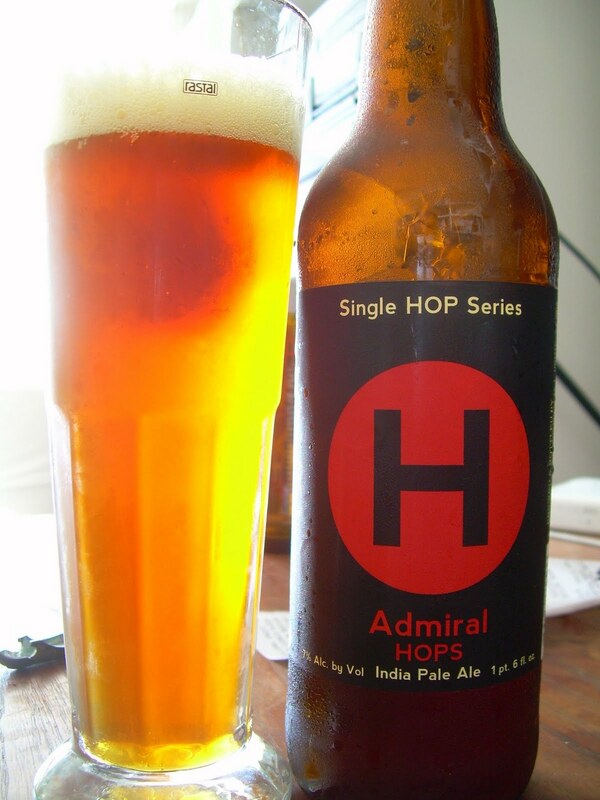 The score so far: Admiral 1, Citra 0.